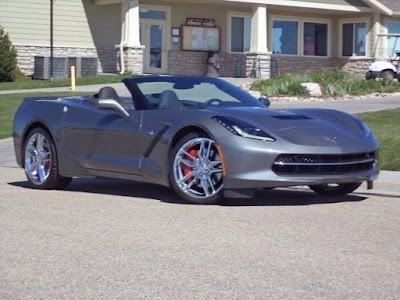 Purifoy Chevrolet in Fort Lupton, Colorado currently has this impressive Shark Gray Metallic 2016 Chevrolet Corvette Stingray Z51 3LT convertible for sale! 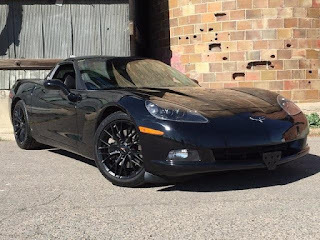 Priced at less than $78,000 this Corvette will sell quickly! features and performance, this is the car for you! 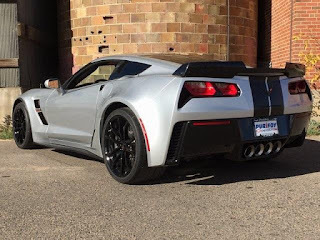 This Corvette is equipped with a powerful 6.2L V8 engine and an automatic transmission that get an impressive estimated 16 MPG city/29 MPG highway. This gorgeous convertible isn't lacking features either! 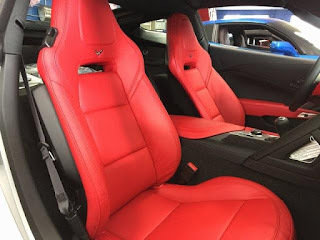 When you buy this Corvette Stingray, you will enjoy custom leather wrapped interior, memory package, Preferred Equipment Group 3LT package, sueded-mirofiber-wrapped trim interior package, Bose audio system, front curbview camera, and so much more! Stop into Purifoy Chevrolet near Denver to learn more about this sporty 2016 Chevy Corvette Stingray. We also have many other new and gently pre-owned Corvettes in our Indoor Corvette Showroom. Let us find the perfect one for you! 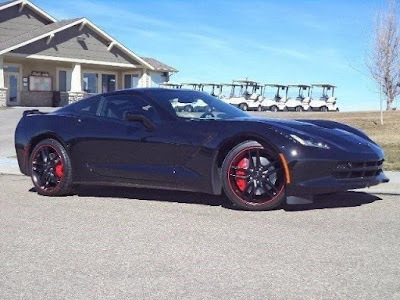 Purifoy Chevrolet in Fort Lupton, Colorado currently has this gorgeous 2016 Chevrolet Corvette Stingray Z51 3LT for sale. You should get an estimated 16 MPG city/29 MPG highway thanks to the powerful yet efficient 6.2L V8 engine. 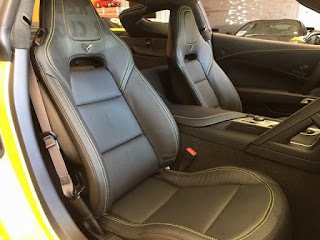 This model is also equipped with the Black Suede Design Package, Carbon Flash Badge Package, Memory Package, and Custom Leather Wrapped Interior Package. These and the many other features make this an attractive option for anyone purchasing a Corvette. 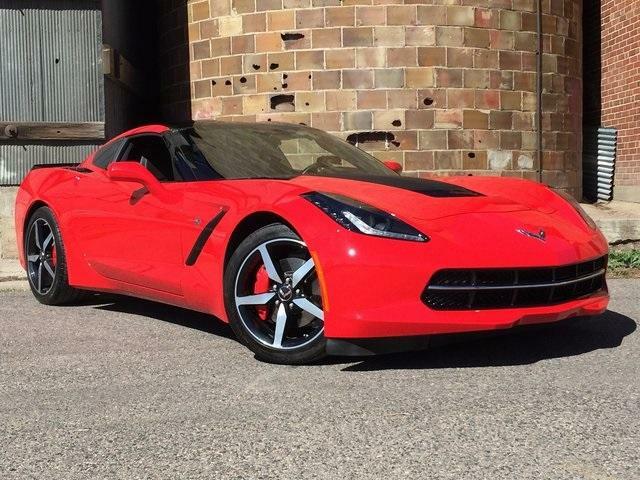 Stop into Purifoy Chevrolet near Denver today to take a look at this 2016 Chevrolet Corvette Stingray. 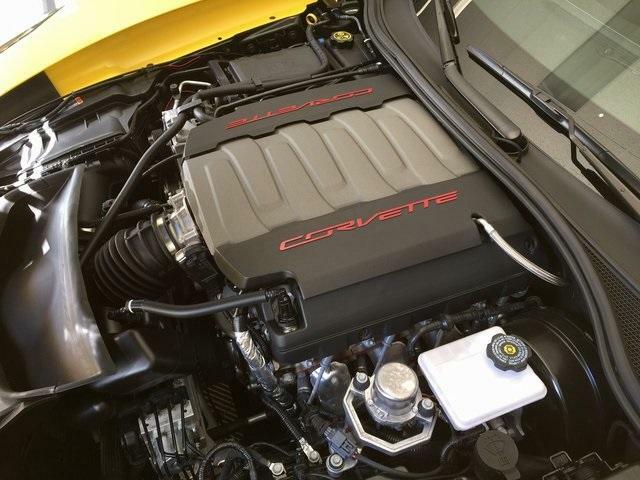 Take a test drive and let us show you all of the super features on this Corvette! Purifoy Chevrolet is your place for new and gently pre-owned Corvettes! Our Indoor Corvette Showroom, just down the road from Denver, is filled with amazing deals on a super selection of Corvettes! One example is this head-turning NEW 2017 Chevrolet Corvette Grand Sport. This beauty has to be seen in person to truly appreciate. The Blade Silver Metallic exterior has a Carbon Flash Full-Length Dual Racing Stripe Package. This pairs nicely with the bold Adrenaline Red interior. This Corvette is loaded with packages of great features. That includes the Z07 Performance Package with such features as Carbon Ceramic Brakes, Dark Gray Metallic-painted calipers, and the Z07 suspension with Magnetic Selective Ride Control. Also enjoy the Memory Package, 2LT Preferred Equipment Group, and Visible Carbon Fiber Effects Package. The 6.2L V8 engine that powers this Grand Sport is amazing! Not only will you have power when you need it, but also impressive fuel economy with an estimated 17 MPG city / 25 MPG highway. Stop by Purifoy Chevrolet in Fort Lupton today to see this 2017 Chevrolet Corvette Grand Sport and many other Corvettes. Purifoy Chevrolet has a great deal on this gently-owned, low mileage 2016 Corvette Stingray Z51. 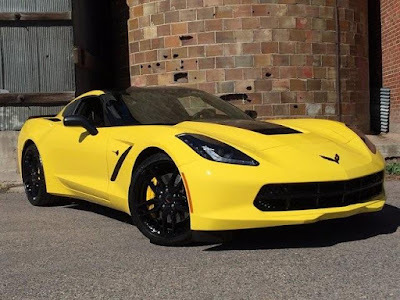 The gorgeous Corvette Racing Yellow Tintcoat with Carbon Flash hood stripe will really turn heads! The 6.2L V8 is paired with an 8-speed automatic transmission with paddle shifters to create an efficient and powerful combination. You will enjoy all of the super features of the 3LT Preferred Equipment Group plus navigation, head-up display, magnetic ride suspension, Performance Data and Video Recorder, Front Curb View Cameras, and a Bose Advanced 10-Speaker Audio System. The variety of features include many aimed at comfort, safety, and entertainment. Take a test drive today at Purifoy Chevrolet, just down the road from Denver. We have many other new and gently pre-owned Corvettes for you to choose from too! Visit our Indoor Corvette Showroom today! Don't you want your ultimate performance car to have the ultimate performance brakes? Then don't miss out on this opportunity to get the amazing Carbon Ceramic Brakes on your 2016 or 2017 Corvette Grand Sport or Z06 at a $5000 discount! That means you get all of the performance of these impressive brakes with little extra cost. These brakes are so amazing that the rotors are basically good for a lifetime of normal driving (excludes high performance usage). Purifoy Chevrolet in Fort Lupton has a great selection of the 2016 and 2017 Corvette available for you to choose from. We are just down the road from Denver and definitely worth the drive! 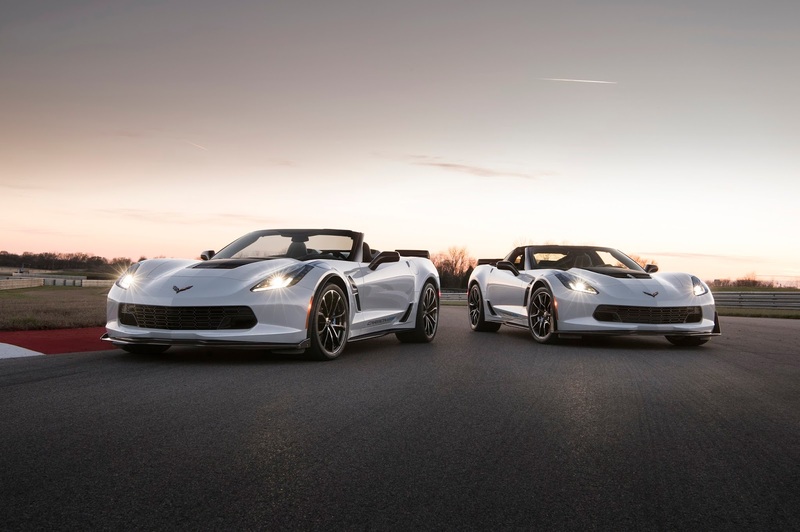 Chevrolet has introduced the Corvette Carbon 65 Edition to commemorate the 65th Anniversary of Corvette. It will be offered on the 2018 Corvette Grand Sport 3LT and 2018 Corvette Z06 3LZ models. It will be limited to only 650 vehicles! This special edition will be available this summer. Contact Purifoy Chevrolet, the Denver area Corvette Experts, for information on this Carbon 65 Special Edition. Stop by Purifoy Chevrolet near Denver, Colorado to see this gorgeous red Corvette Stingray with a powerful 6.2L V8 engine. It is priced to sell at less than $50,000! That is an amazing deal for this vehicle which is equipped with such features as OnStar with 4G LTE built-in hotspot, Performance Data and Video Recorder, and Chevrolet MyLink System with Navigation and Bose Advanced 10-Speaker Audio System. Other super features include Chrome Badge Package, Carbon Flash Painted Z51-Style Spoiler, Memory Package, Remote Vehicle Starter System, and 3LT Preferred Equipment Group. 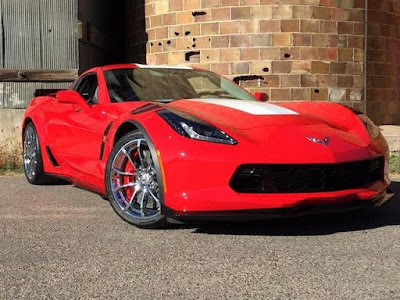 The red-painted calipers look amazing with this eye-catching Corvette. And you will love the sound of the performance exhaust! Visit our Indoor Corvette Showroom in Fort Lupton today. We have so many great new and pre-owned Corvettes for you to enjoy looking at. 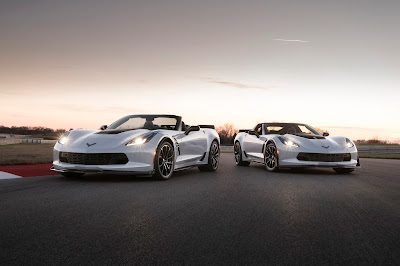 So let the Purifoy Chevrolet Corvette experts help you find the perfect Corvette for you! 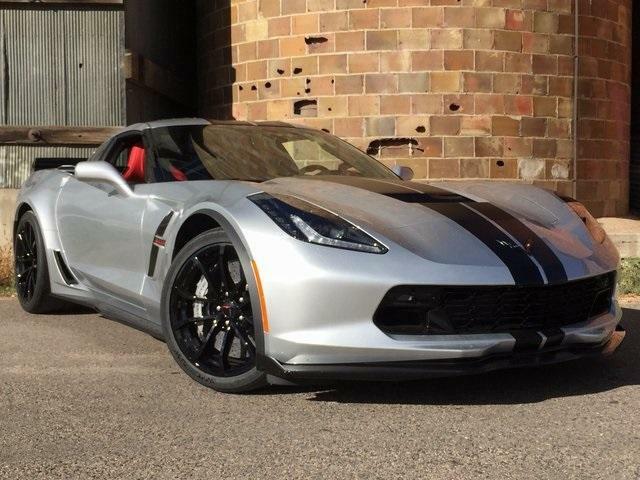 Don't miss out on this gorgeous 2017 Chevrolet Corvette Grand Sport customized at Purifoy Chevrolet in Fort Lupton. 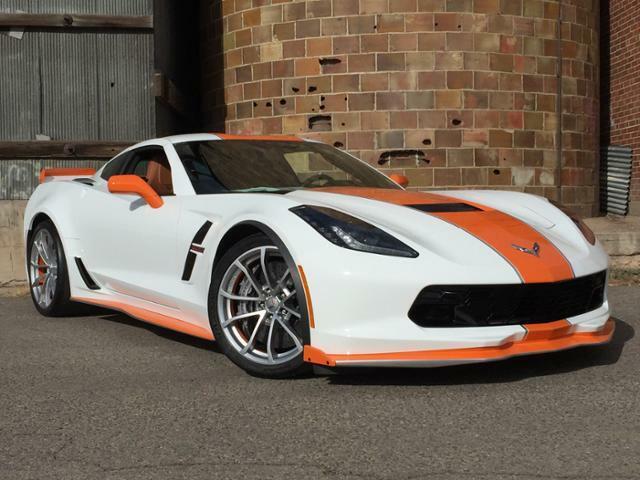 Our expert body shop added a large orange stripe and accents to this Arctic White beauty. There is a smaller silver accent stripe too. All customization was done to the exterior and not performance-related. In addition, you will enjoy Front Curb View Cameras, Bose® Advanced 10-Speaker Audio System, Head-Up Display, Navigation System, and Performance Data & Video Recorder plus so much more on this 2017 Corvette Grand Sport. 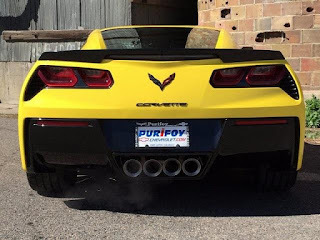 Purifoy Chevrolet is located just down the road from Denver and it is worth the drive! Stop by today and see this custom 2017 Chevrolet Corvette and our entire selection of new and pre-owned Corvettes. This beautifully maintained 2008 Chevy Corvette is priced less than $30,000 and has less than 28,000 miles!! This beauty has black exterior and interior, automatic transmission, RWD, and a very powerful 6.2L V8 SFI engine which still delivers an estimated 16 MPG city/26 MPG highway. In terms of features, this particular Corvette is packed full of some great ones including dual roof package, custom wheels, brand new tires, dual mode exhaust, SiriusXM radio, enhanced acoustic package, Tire Pressure Monitoring System, oil life monitoring system, keyless access with push button start, power driver seat, and many more. 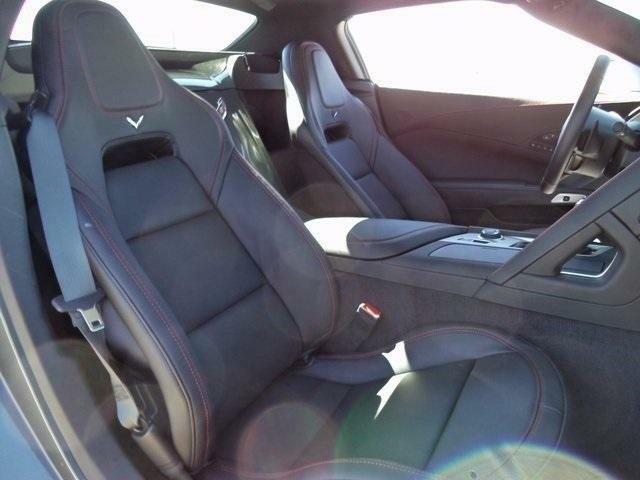 Stop into Purifoy Chevrolet today to take a test drive of this impressive Corvette. You can see all our pre-owned Corvette inventory on our website!